Lazy days, lazy dogs. It’s very easy to be unaware of how little your dog is active and if he gets the amount of fitness required in a day. Just like humans, they need a combination of exercise and food reduction to slim down if needed. You just need to provide the motivation and training. A pet is most motivated to play and let out some energy when they are in the company of their owner. A playmate is always loved. If neighbours have another dog, go to a park as a group and increase the want to move. Your community might also have some planned activities, or a local dog walker. If you participate in too much exercise at once it can take away the fun and your dog might refuse the next opportunity. Injuries can be caused to their heart, mobility and overall well-being. About 45 minutes of exercise is recommended daily. Find something that excites him and turn it into a habit. Check out and explore some new adventurous walking areas and cheer him on! With large meals, all people enjoy a nap, dogs fit into that category too. For their benefit pay attention to the portions you provide them with. It isn’t safe to feed them what you eat, and numerous treats should also be kept in check. Also, try rewarding your pet with praise rather than treats. If your dog is extremely lazy use a treat just to get the ball rolling. A happy voice is appealing where no expectations are raised. Feeling sluggish is never rewarding. 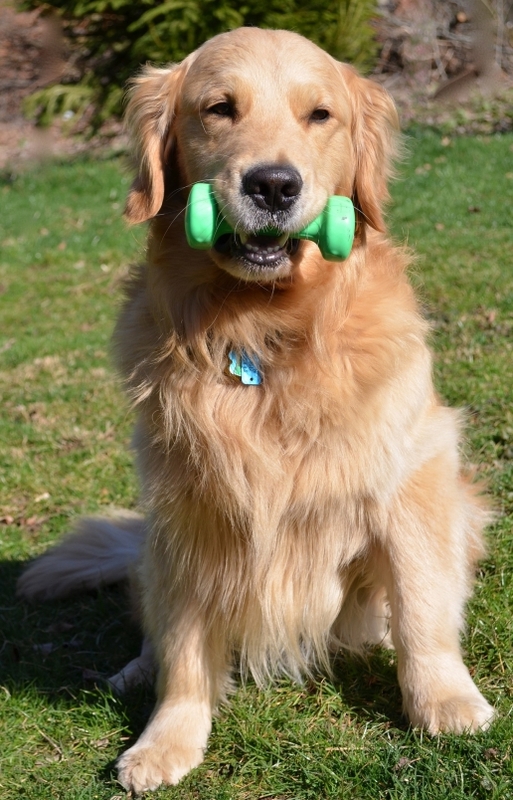 Even take some indoor toys and throw them around for fetching. Some dogs do happen to enjoy walking on the treadmill as well. They might use it more than you. Puppies are easier to encourage so build a routine for its older years. Aim for a good quality of life. Remember: The yard isn’t as motivating to run around in without a companion. You can wear a wrist bracelet to track your steps throughout the day, but there is a smart collar invented to track the exercise of your dogs by LINK AKC. Keeping active is valuable for both you and your dog, make the most of (f)it.